This gorgeous new pale blue cotton blend romper by Feltman Brothers features a pintucked chest with a front buttoned belt held by fagoted belt loops. 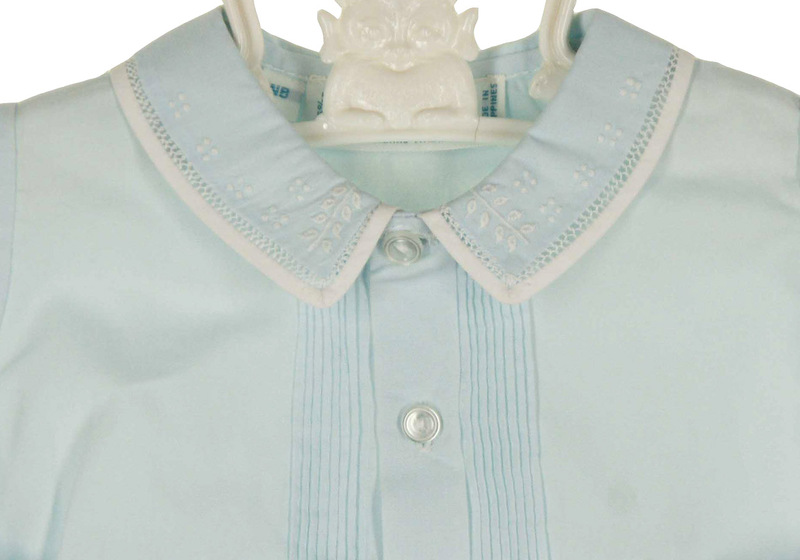 The romper has a Peter Pan collar with a beautiful white embroidered pattern edged with fagoting and white trim. 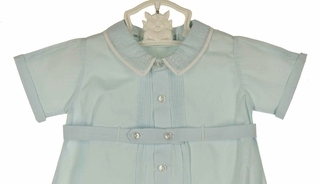 A front buttoned closure and snaps in the crotch for quick changes complete the classic look. 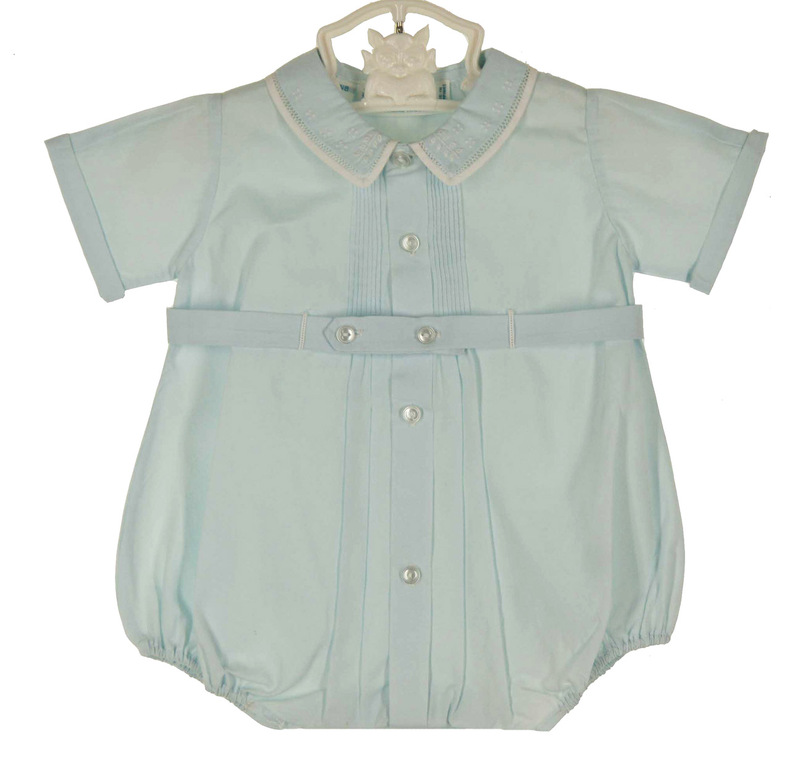 This darling little romper is the perfect outfit for bringing your new baby boy home from the hospital or for his first portraits.